This is the fifth and final story in Season 9. This is a standalone story, albeit with a recurring villain. The Third Doctor has white hair, a large nose, and tends to dress as a society dandy. He has a love of technology, historical name-dropping, and vehicles. In The War Games the Doctor's people (the Time Lords) sentenced him to exile on Earth. In Spearhead from Space, he was appointed as scientific advisor to UNIT. Brigadier Lethbridge-Stewart is the commanding officer of the United Nations Intelligence Taskforce (UNIT). He worked with the Second Doctor to defeat threats to Earth on two occasions (in The Web of Fear and The Invasion. In Spearhead from Space, he teamed up wiih the Third Doctor to prevent an invasion by the Nestene and the Autons. During that story he persuaded the Doctor to work as his scientific adviser. Josephine "Jo" Grant is the Doctor's assistant at UNIT. She failed General Science A Level, but has had training in escapology, cryptology, and explosives. In Terror of the Autons, on her first day on the job, she was hypnotised by the Master to assassinate the Doctor. She has subsequently helped the Doctor to defeat the Master on several occasions. Sergeant Benton is a UNIT officer. He has worked with the Doctor on numerous occasions, including UNIT's previous encounters with the Master. Captain Mike Yates is an officer in UNIT. He worked with the Doctor in UNIT's previous encounters with the Master. The Master is a Time Lord and an enemy and rival of the Doctor. In Terror of the Autons he arrived on Earth and allied with the Nestene Consciousness to attempt to conquer Earth. He was stopped by the Doctor and UNIT. He has since come into conflict with the Doctor and UNIT repeatedly. 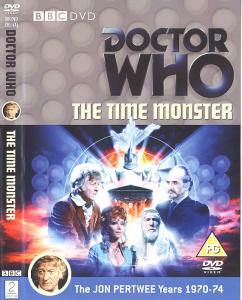 This has included being captured in The Daemons and escaping imprisonment in The Sea Devils. The United Nations Intelligence Taskforce (UNIT) is an organisation devoted to protecting Earth from extra-terrestrial threats, In The Invasion, the second Doctor teamed up with them to prevent an invasion by the Cybermen. In Spearhead from Space, the Doctor became their scientific advisor.